Liphook is in the enviable position of being a gateway to the South Downs National Park. The South Downs National Park has it all - rolling hills, glorious heathland, river valleys, ancient woodland, thriving villages and market towns, and the iconic white cliffs of the Heritage Coast. Covering over 1600 square kilometres of England's most valued lowland landscapes in the busiest part of the UK, it has been shaped by the activities of its farmers and foresters, its large estates and communities, its charities and local businesses. It includes inspirational landscapes, internationally important wildlife and cultural heritage. 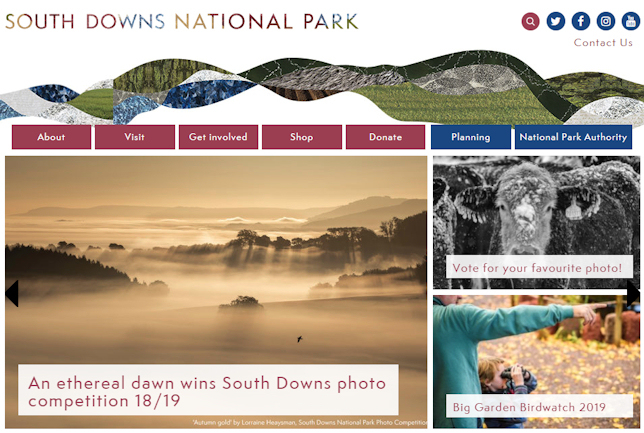 You can sign up here to receive the regular South Downs National Park Newsletter.